Thank you to all who joined us for this special celebratory meal, which took place after Fathers’ Day this year. 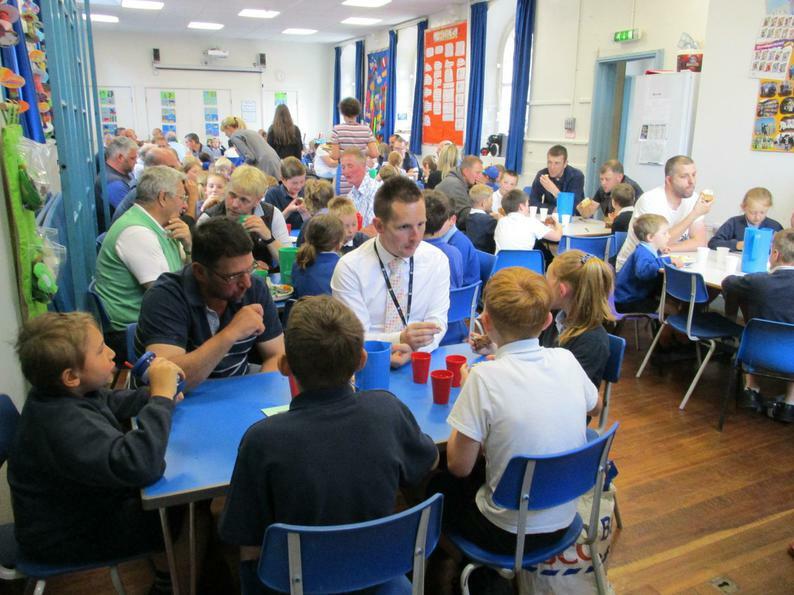 Congratulations to Mrs. Richardson and her staff helpers who produced and served 108 delicious meals, which were much appreciated by all who came along. We hope all those recipients of the beautiful school-made cards enjoyed receiving them, complete with specially-written poems by KS2 pupils.